A Digital Spring Fling App for Shoppers. A spring scavenger hunt game, mall shoppers were tantalized to come to the mall to play a game on their mobile phones. Bar code scans were set up across the mall and customers scanned each one to win. 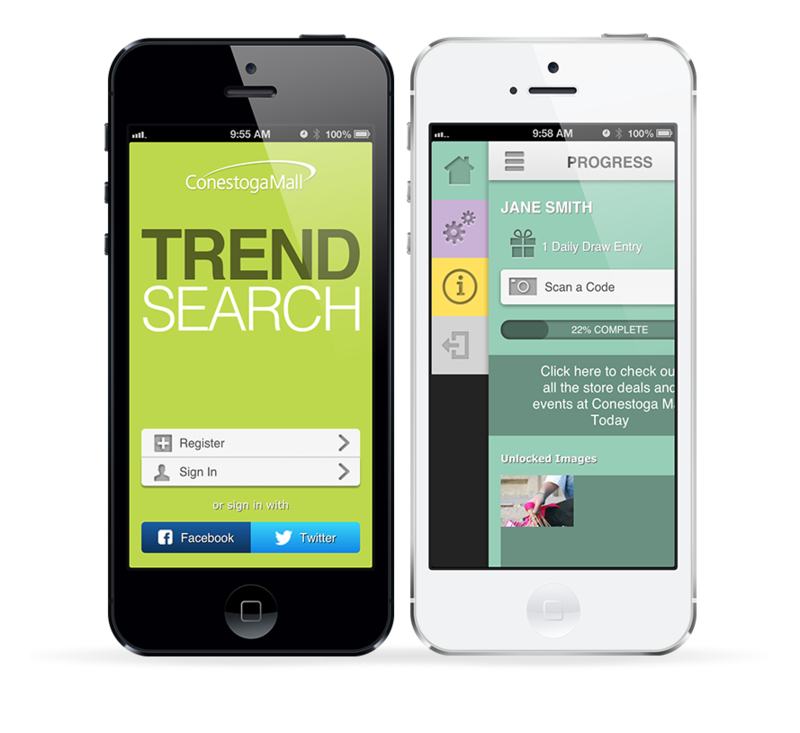 The app combined a look book with all the latest fashion trends as they played the game. Ivanhoé Cambridge is a world-class real estate investment, development, asset management, leasing and operations company with assets over $40 billion all over the world. One of Ivanhoé’s primary shopping centres in North Waterloo was looking for new and innovative ways to bring consumers into the mall to shop. Strip malls and street level plazas were taking market share, and the management was looking for new ways to engage shoppers. Mad Hatter Technology created a mobile application to entice shoppers to visit the mall. A flip book was created, featuring all of the latest fashions for the season, to encourage shoppers to sign up and play.